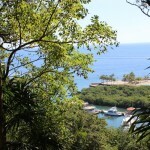 Roatan Real Estate made easy!! 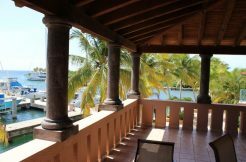 This Beautiful 2bedroom/2bathroom Spanish-Colonial design villa sits on the second floor overlooking the tranquil waters of Parrot Tree’s Second Bight Marina. Comes furnished as-is (excluding personal items). Parrot Tree Plantation is one of Roatan’s most exclusive and secure gated/Guarded Community, with a large 320 ft pool with fountains and a small children’s water slide. The private and sheltered beach-lagoon offers enjoyable swimming year round. GARM medical clinic on site. Click here to view buildings layout and condo identification. 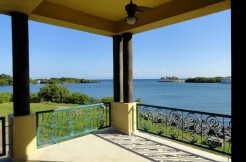 View all Features and Amenities that Parrot Tree Plantation Beach Resort & Marina has to offer, and photo gallery.